O n 13 January 2008, Cunard Line will debut the latest addition to its fleet in New York harbor. celebration was that this was the beginning of regularly-scheduled transatlantic mail service. became the first company to provide regularly-scheduled transatlantic passenger service. captured the public imagination as embodying the height of ocean liner travel. 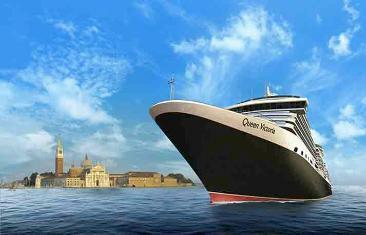 result, when QE2 came into service in 1969, the only other ship in the fleet was FRANCONIA. ability to respond to competition. was on the way to becoming a conglomerate with extensive holdings in the leisure industry. in Britain. 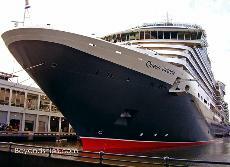 It also provided the capital needed to expand the Cunard fleet. one side, the future for the company lay in mass market cruising. achieved some popularity in Britain during the 1980s doing Caribbean and Mediterranean cruises. Royal Viking Line and obtained the ROYAL VIKING SUN. This string of acquisitions gave Cunard a sizeable fleet. However, it was an incoherent polyglot. a company in search of a direction. reportedly were drawn. However, the cost and questions about the size of the market remained. done in the style of QE2. States, New York Council in The Log, Summer 2007).